Cell phones provide users different options of how they would like to communicate with one another. People always have seamless experience regardless of what channel they choose for their communication needs. Most important of all, we need a cellular connection for making calls or for unlimited texting with friends. Telecom companies offer quality services to their customers far more efficiently to increase user’s satisfaction and to target more audience. Nowadays every network provider is offering same services at affordable rates, so a better user experience is the critical element to differentiate your company from others. People always prefer calling on other ways of communication because calling is real and quick. Did you ever get worried about high call charges or limited minutes while making a call to someone?? If yes then you are not alone in this. The real problem is network providers usually offer all services bundled together in a single package. One package having all services has limited resources; limited minutes, SMS and Mbs. People typically give preference to call packages which contain individual benefits of minutes so they can’t be forced to use other services. 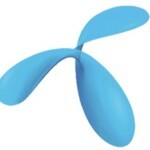 Zong is a widely used network in Pakistan. Zong always offers what their customers want. The company is offering various packages for its both prepaid and postpaid customers, but the most prominent among them are Zong call packages. In the highly competitive telecom industry, low rates and incredible packages can help your company to stand out. It seems that Zong already has focused on the critical factor of success and that’s why they keep on offering versatile packages according to customer’s need. Zong offers hourly, daily, weekly and monthly call packages so the user can enjoy their conversation without any restriction and limitations. If you are in search of all call packages offered by Zong then congrats you have come to right place. You can find information about both prepaid and postpaid call packages. Prepaid customers always have high privilege then postpaid customers as most call packages are valid for them and they have a broad range of available packages. Same as with call packages, Zong offers following call packages to their prepaid customers on hourly, daily, weekly and monthly basis. Users don’t have many options while choosing hourly packages but what they get is enough to meet their requirements. Subscribe to this bundle by dialing *333# from your Zong connection. The offer will remain valid for 2 hours after subscription. You will get the benefit of unlimited Zong to Zong minutes plus 5 Mbs of data volume. Charges of Rs 5 + tax will apply for two hours. If you want the freedom of unlimited talk time without worrying about charges and remaining minutes, then you should opt for Zong daily packages. Zong provides you a long list of daily call packages. Get the benefit of free calling minutes by dialing *999#. The validity of Shandar offer is 1 day. You will be provided with unlimited on-net minutes and extra benefit of 500 SMS and 50 Mbs. Minimal charges of Rs 8 + tax will apply. Dial *522# for activating daily unlimited offer. Offer is valid until midnight of the subscribing day. Enjoy your conversations with unlimited on-net minutes and surf the internet with 5 Mbs. You have to pay Rs 12 + tax for this offer. Activate this offer by dialing *3000# from your Zong SIM. Offer is valid for 24 hours except from 6 pm to 10 pm. 120 on-net minutes will be allocated to you. Charges are reasonable i.e. Rs 3 + tax especially for students. Dial *2200*1# to initiate the hello offer. No time restrictions, the offer is valid for a whole day. 100 on-net minutes, 100 SMS & 50 Mbs will be provided. Enjoy all the benefits at Rs 8 + tax. To unsubscribe this offer, send “Unsub” to 4952. You can easily subscribe to flutter offer by dialing *369#. The validity of offer is 24 hours. You will get 90 Zong to Zong minutes and 50 Mbs for WhatsApp. Rates are just Rs 8 + tax. SMS “Unsub” to 369 for deactivating the offer. Pick up your phone and dial *118*1# to subscribe the gup offer. Offer is valid for 24 hours. 75 on-net minutes for unlimited calling and 30 Mbs for WhatsApp are resources of this offer. Rs 5 + tax will be charged. If you want to deactivate gup offer, message “Unsub” to 1181. 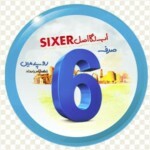 Dial *666# to start the sixer offer. Offer is not valid from 6 pm to 6 am. Enjoy unlimited on-net minutes plus 500 SMS by activating this offer. This offer will cost you Rs 8 + tax. Turn off this offer by sending “Unsub” TO 666111. To enjoy uninterrupted talk time dial *777# to subscribe nonstop offer. You cannot enjoy this offer from 7 pm to 10 pm. Get unlimited Zong to Zong minutes for the whole day. Charges of Rs 10 + tax will apply. SMS “Unsub” to 7141 for deactivating. Get this offer by dialing *118*2# from your prepaid connection. Offer is not effective from 7 pm to 10 pm. Enjoy the benefit of unlimited on-net minutes, 500 messages and 40 Mbs. Tariffs on this offer are Rs 12 + tax. To stop this offer sends “Unsub” to 7171. Surely you can easily get confused with these unlimited choices of daily call packages by Zong but choose what suits you best. You can subscribe to this standard offer by dialing *7#. As this is a weekly package so the offer is valid for 7 days. To meet your weekly needs, you will be given 1000 on-net minutes, 50 off-net minutes, 100 SMS & 350 Mbs of mobile data. Charges are reasonable; you will get all services for Rs 75 + tax. To enjoy all the service in one offer, just dial *6464#. You can benefit from all in 1 offer for 7 days. All in 1 offer gives you all resources including 500 on-net minutes, 40 off-net minutes, 500 SMS and 500 Mbs. Charges of Rs 95 + tax will apply. For activation type “PK7” and send it to 522. This offer will be effective for a whole week. This offer will provide you unlimited Zong to Zong minutes to give you the best calling experience plus you will also get 150 SMS per day. For subscribing this offer, you will be charged Rs 63 + tax. You have to admit that Zong is offering you best calling services in the form of weekly call packages. Have more and pay less by activating any of these weekly call packages. Zong is offering the best monthly call packages. You will get the benefit of on-net as well as off-net calling for a month at minimal rates. Subscribe to the package of your choice and relax for next 30 days. These packages not only give you unlimited minutes also you will also get free SMS and Mbs. Dial *3030# from your Zong prepaid connection to subscribe supreme offer. Offer is valid for next 30 days after subscription. If you activate this offer then 3000 on-net minutes, 300 off-net minutes, 3000 SMS & 3000 Mbs will be provided to you. You just have to Rs 750 for unlimited resources. Deactivate this offer by sending “Unsub” to 6464. SMS “PK30” to 522 to activate unlimited offer. As its name suggests, the offer will remain effective for 30 days. You will get unlimited on-net minutes and 500 SMS each day. Reasonable charges of Rs 255 + tax will apply. If you need to unsubscribe this offer, then type “Unsub” and send it to 522. To initiate Mahana offer dial *1000# from your Zong connection. The validity of this offer is for 30 days. You will get everything in thousands; 1000 Zong to Zong minutes, 100 off-net minutes, 1000 messages and 1000 Mbs. To enjoy all resources of this offer you have to pay Rs 300 + tax. SMS “Unsub Mahana” to 7091 will allow you to deactivate this offer. All in 1 monthly will give you all resources in a single package. This offer is specially designed according to your needs. It gives you three different options by rates and resources. Dial *6464# to activate this offer. The offer will be effective for 30 days. 1500 Zong to Zong minutes, 150 off-net minutes, 500 SMS & 500 Mbs will be allocated to you. This is all in 1 monthly 500 offer so charges of Rs 500 + tax will apply. To subscribe this offer, SMS “home1” to 6565. You will enjoy benefits of unlimited on-net minutes, 500 SMS for each day and 2 GB of data volume. You will cost Rs 599 + tax for this offer. SMS “home2” to 6565 to initiate this offer. The offer’s validity is 1 month. The offer gives you unlimited on-net minutes, 500 messages per day and 4 GB of mobile data. Charges of Rs 799 + tax will apply. Get everything unlimited for a month with Zong monthly call packages. These are all call packages, but you will get the extra benefit of unlimited SMS and Mbs. Zong also offers various call packages to its postpaid users which shows that postpaid customers are equally important for them. Postpaid packages will allow users to enjoy unlimited talk time with free minutes and this offer will also help you to reduce your monthly bill. For activation of packages, call to 310. Monthly line rent is Rs 300 + tax, and security deposit is Rs 600. 500 on-net minutes, 100 off-net minutes, 500 SMS and 100 Mbs will be allocated. Charges of Rs 1.4/min for on-net calls and off-net calls will apply. You have to pay Rs 500 + tax as line rent and Rs 1000 as a security deposit. You will get 1500 Zong to Zong minutes, 250 off-net minutes, 1000 SMS and 2000 Mbs. Rs 1.25/min will apply for on-net and off-net calls. You will be charged Rs 900 + tax as monthly line rent and Rs 2000 as a security deposit. Enjoy unlimited on-net minutes, 500 off-net minutes, 2000 SMS and 4000 Mbs with this package. Rs 1.25/min for off-net calling will apply. On-net calling is free. Charges of Rs 1500 + tax as monthly line rent and Rs 3000 for security deposit will apply. Unlimited on-net minutes, 800 off-net minutes, 4000 SMS and 8000 Mbs will be provided to you. On-net calling is free, and charges of Rs 1.25/min for off-net calling will apply. Choices are unlimited, and rates are minimal! Zong has left behind its competitors with an incredible range of call packages. You should not miss the opportunity to try any one of these calling packages.